Sometimes just doing your job really well isn’t enough to be considered for promotion. These tips will help to increase your chances of being at the forefront of your manager’s mind the next time a higher position opens up. Put yourself out there and volunteer for projects. Approach your boss with new ideas. Speak up in meetings with solutions to problems. You will soon gain a reputation as an above-average employee. Remember – out of sight, out of mind. See get yourself noticed at work. Dress for the role you are seeking, rather than the one you are currently in. Always be professional, both in spoken and written word. Never engage in office gossip or get drawn into office politics. Remain diplomatic and fair at all times. Consider your social media presence. How do you come across on your personal Facebook and Twitter accounts? Your employer can gain a true sense of who you are by reading your online conversations, so tread carefully. Promotion rarely happens overnight. The failure of previous applications is disheartening, but your boss will have noticed your ambition. Work hard, meet your objectives, take on new challenges, expand your skill base and get involved in more colleague networking. All of this adds up and means when a position does open up, you will be well prepared to apply for it. If you feel that you are purposely and unfairly being overlooked for promotion, contact your trade union who may be able to advise you on what steps to take next. Rather than always looking up the ladder, consider what roles exist in different areas within the company. They may be on the same salary, but can involve taking on new responsibilities or learning new skills. You will be increasing your network of colleagues and adding your value to the organisation. Never presume you are the obvious choice for a promotion. Your company will likely be considering external applications too. Treat the application as you would a new job in a new company. Update your CV and write a polished cover letter. Don’t expect to bypass your company’s hiring procedure simply because you already work there. Tell your current boss that you are applying for a promotion, as you need them on side. Their references will be valuable. You don’t have to wait for a vacancy to be announced. Why not write to your boss outlining the skills you would bring to a higher role? You may be surprised at the opportunities this presents. 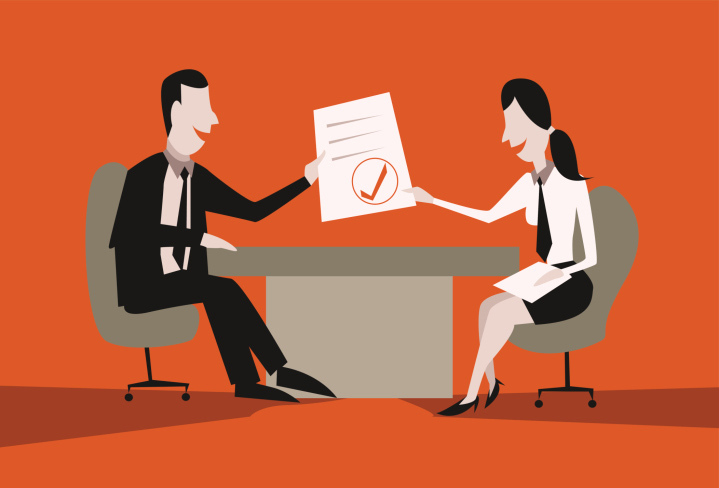 A job promotion interview can be tougher than a typical one. You already know the team, so their expectations about your skills and experiences will be higher than for an external candidate. Be professional. Even if you know the interviewer well, don’t appear relaxed or over-confident. Highlight your strengths, successes you have had in your current job and your commitment towards the company. Don’t assume you know everything about the company or new position, but state that you would be keen to learn more. Ask questions too. For more information and tips refer to the free 'Practical Guide to Planning and Developing Your Career' document and specific podcasts on 'Selling Your Skills and Strengths' and 'Preparing for Interview'.